TO BE BUILT! Build this floor plan on THIS lot or on any of the other remaining neighborhood lots. Terrific schools; Cool Spring, Chickahominy, and Atlee. The Meredith floor plan is one of RCI’s popular open floorplan rancher with hardwoods, ceramic tile floors, granite, stainless, gas fireplace, gas furnace, gas water heater, 9′ ceilings, and MORE standard within the neighborhood. You’ll love the Meredith’s large kitchen island, corner pantry, and large eat-in dining area. Bedrooms are spacious and there are a ton of options to upgrade and customize to make this your DREAM HOME! Incredible base price for new construction within the Atlee district. 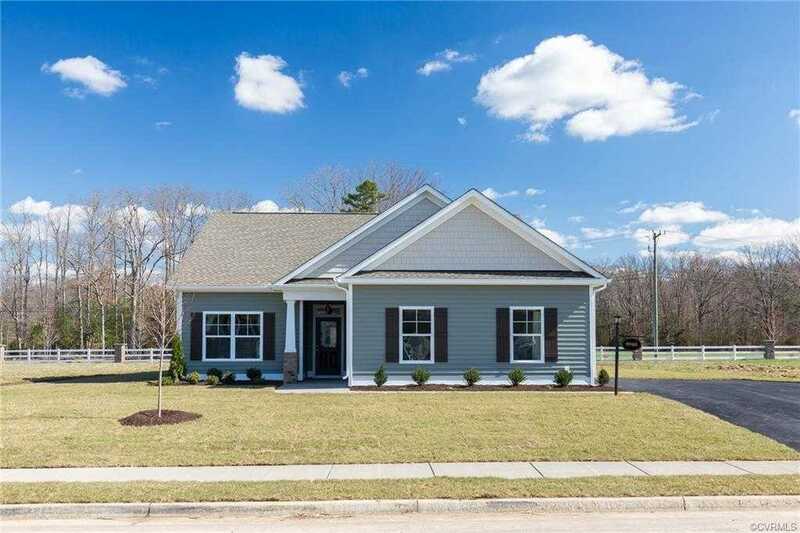 Please, send me more information on this property: MLS# 1905617 – $353,928 – 9985 Gadwald Court, Mechanicsville, VA 23116. I would like to schedule a showing appointment for this property: MLS# 1905617 – $353,928 – 9985 Gadwald Court, Mechanicsville, VA 23116.